quickshopgamesltd has no other items for sale. 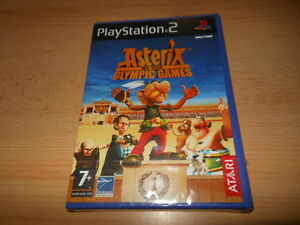 In Asterix at the Olympic Games players can choose from three playable characters, Asterix, Obelix and Dogmatix, in an original story which takes a parallel course to the film and the comic book. Our heroes must stop Brutus while still finding time and energy to triumph at the Games themselves. The mini-game mode lets players compete in Olympic challenges, while two-player multiplayer lets friends go head to head in a series of hilarious contests. Pay a maximum of £15.00 P&P on all eligible items from quickshopgamesltd.